I need help. I’ve never been involved in developing collection development guidelines for traditional library materials, and now I have the challenge of coming up with some for apps. How do we decide what apps are good enough to use in storytime or to recommend to people? There are review sources, (Kirkus, SLJ, Horn Book), but those only cover a small fraction of the apps that are out there, and they mostly review iPad apps. There are loads of app review sources that DON’T emphasize apps that are based on books, but how do we know who the authorities are now? Whose word can we take about what’s good and what’s not? What other factors should we take into consideration? How do we factor in platform, price, age appropriateness, interactivity, updates etc? Perhaps I should read this book. 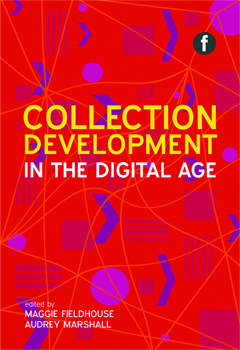 Posted on June 20, 2012, in Apps, Libraries and tagged Collection Development. Bookmark the permalink. 1 Comment.